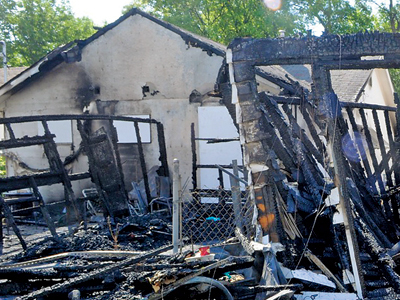 The suspect in the recent arsons in Fort Rouge has the mind of a ten-year-old due to mental challenges and diagnosed ADHD, his lawyer says. He did, however, plead to one count of arson for setting a Wellington Crescent garage alight in August 2009. It was an arrangement with the Crown that today Glazer describes as “a sweetheart deal” that he preferred the young man not take. In the present case, there’s no independent police evidence linking Brandon Sutyla to the recent crimes that have stunned and shaken an entire neighbourhood, Martin Glazer alleged in a telephone interview today. “Taking a statement from him is like taking candy from a baby. In a battle of wits, he’s unarmed,” the veteran lawyer says. Glazer stated Sutyla was held for questioning for roughly 24 hours by police, and despite their knowledge of his past, interviewed him alone. “In a case such as this, it’s very easy to break down someone like him,” Glazer says. Two weeks ago, officers went to Sutyla’s mother’s home and questioned him, saying something along the lines that his clothes fit a particular witness description, he added. They left without charging him. Nonetheless, there’s a suspect in custody now, an obvious relief to many Fort Rouge Residents. What remains to be seen, however, is if the fires continue. Glazer says that will be a key sign police may have the wrong suspect. Police said this morning that a fire in the rear of a home on Fleet Street early Thursday likely isn’t connected [Sutyla was in custody]. Judging from the damage, the MO seemed the same to me, but it’s possible it could be a copycat. A question remains: Why was he arrested at the scene of a car fire miles away from Fort Rouge at the time of his arrest? Sutyla’s case has been remanded to Aug. 15 pending a bail application.